Madness confirms western US tour dates. British pop/ska band Madness has confirmed a string of US dates this April, marking its triumphant return to the states. The West Coast dates also include the highly popular Coachella Music Festival in Indio, Calif. on April 13. This tour marks the first time the band has toured in North America in more than five years. 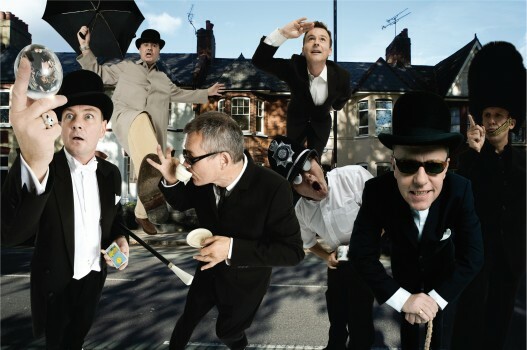 Madness released its most critically acclaimed album, The Liberty of Norton Folgate, on May 18, 2009. Upon release, this album peaked on the UK charts at #5. In the last few years, Madness have played Europe’s biggest and best festivals including Sonar, Glastonbury, V, T in The Park, Bestival and Benicassim, and headlined shows from Paris to Austraila. Following these festival appearances, the band received a 2010 “Idol Award” at the London Q Awards, and also had a 2011 festival appearance at Meltdown Festival, London’s annual music, art, performance, and film festival. Madness has launched a new music festival called House of Fun Weekender in the UK and will be hosting it for the second consecutive year this coming November. The band is currently working on its tenth studio album that will be released later this year. UK pop/ska band Madness first made noise in England as part of the burgeoning 2 Tone/Second Wave ska scene of the late 1970s along with contemporaries The Specials. Most known in the US for their still-ubiquitous hit single ‘Our House,’ Madness is a slice of musical London where international flavors meld into a kaleidoscopic collage of sounds, all moving in unison under the pop music big top. The Liberty of Norton Folgate is the first album of originals for the band in 10 years and marks a creative renaissance that will remind fans and critics of the prowess of one of the Britain’s most influential groups since the Invasion. Patching together elements of burlesque jazz, rock, ska and even polka into an effortless lesson in pop song craft, The Liberty of Norton Folgate reestablishes Madness as distinguished statesmen of pop and a vital force influencing yet another generation of musical ground breakers.